The Medal for Distinguished Achievement originated with the Trustees' Honorary Degrees and Awards Committee on June 18, 1992, and was formalized by resolution of the University Trustees on October 20, 1992. The resolution stipulated that the Medal be awarded "to those individuals whose performance is in keeping with the highest goals of the University and who have contributed to the world through innovative acts of scholarship, scientific discovery, artistic creativity or societal leadership." These criteria for awarding a Medal are similar, though not identical, to those for an Honorary Degree. 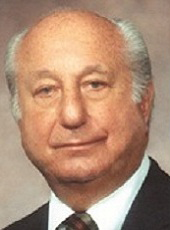 2011 Raymond G. Perelman, Philanthropist. In recognition of his untiring efforts and immeasurable contributions to the health and well-being, education and cultural opportunities in Philadelphia and beyond. Presented at the Perelman School of Medicine Naming Celebration. 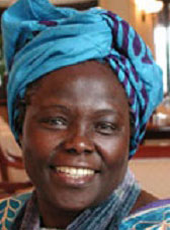 2006 Wangari Maathai, Founder of the Green Belt Movement. In recognition of her innumerable contributions to world peace, the environment, and human society as recipient of the 2004 Nobel Peace Prize. Presented at the Provost's Global Forum. 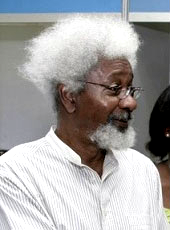 2004 Wole Soyinka, Dramatist, poet, director, novelist, essayist. In recognition of his contributions to world literature and human society as recipient of the 1986 Nobel Prize in Literature. Presented at a lecture sponsored by the Office of the Provost and the African Studies Center. In recognition of his distinguished service to the University and being appointed an Emeritus trustee. Presented at a Trustee dinner, November 2003. 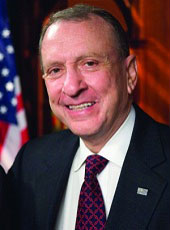 2002 Arlen Specter. U.S. Senator from Pennsylvania. In recognition of his distinguished career in public service and of his efforts to increase funding for biomedical research at the federal level. Presented at the Fall Trustee Board meeting, October 2002. 2002 William A. Wulf, President, National Academy of Engineering. In recognition of his ground-breaking accomplishments in computer science and inspired leadership in engineering education. Presented at the sesquicentennial celebration of the School of Engineering and Applied Science (SEAS) at the University of Pennsylvania. 2001 Alan MacDiarmid and Hideki Shirakawa, two Penn chemists. In recognition of their achievement as recipients of the 2000 Nobel Prize in chemistry. Presented at a symposium by the Laboratory of Research on the Structure of Matter and the National Science Foundation. 2000 Sandra Day O'Connor, Associate Justice, U.S. Supreme Court. In recognition of her life and career as a dedicated judge and exemplary public servant. Presented at the sesquicentennial celebration of the Law School of the University of Pennsylvania. 1999 Freeman J. Dyson and Cathleen Synge Morawetz, two distinguished mathematicians. In recognition of their contributions to the field of Mathematics and Physics. Presented at the centennial celebration of mathematics at the University of Pennsylvania. 1996 John Christian, John Goodenough and Robert Maddin, three distinguished material scientists. 50th anniversary celebration of materials science and engineering at the University of Pennsylvania. 1996, Albert Gore, Vice President of the United States. 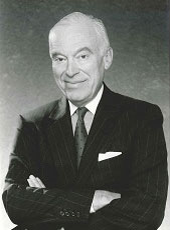 1994 Leonore Annenberg and Walter H. Annenberg, Trustees Emeriti. Closing ceremonies of the Campaign for Penn. 250th anniversary of its founding by Benjamin Franklin. 1993 Neil Amundson, Stuart W. Churchill and Arthur Humphrey, three distinguished chemical engineers. Centennial celebration of chemical engineering at the University of Pennsylvania. 1993 Janet Reno, Attorney General of the United States. Dedication ceremony of the Nicole E. Tanenbaum Hall of the Law School.